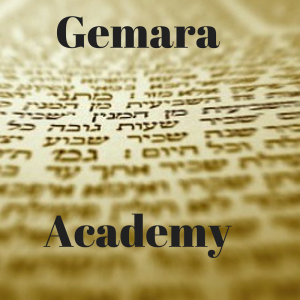 The Gemara Academy is both a method and tool for learning and teaching Gemara. The Gemara Academy Method combines a focus on the understanding of the bigger picture and flow of the Gemara as well as a focus on understanding and being able to learn the Gemara text. Gemara Academy was previously introduced to NLEResources.com readers in January 2017. One of the most common difficulties in Gemara learning is the vast expansiveness of the Talmud that can make it hard to stay focused and see the structure of the Gemara. Another challenge is the feeling of not knowing what approach and method the Gemara will use in the current sugya. To deal with this, Gemara Academy created a system of teaching using PowerPoint presentations that uses flowcharts showing exactly which tools the Gemara uses in each Sugya within the larger map of the Gemara. Gemara is the study of the Mishna and it uses the same tools repeatedly. As a result, after a very short time, through specially designed flowcharts, student become increasingly familiar with these tools. One of the important goals of Gemara Academy is that the student come to appreciate the text, and not that the text be replaced with a visually-based alternative. As a result, each flowchart is exactly parallel and mirrors the Gemara that it’s teaching. In addition, each PowerPoint presentation is in the Tzuras Hadaf so students can become familiar and comfortable with the text. Show the map of the Gemara so that students can see the bigger picture and not become lost in the details. To become familiar with the style and tools that the Gemara uses. To see how the ideas in a Gemara are developed via a flowchart. To exactly mirror the text so students come to appreciate and become comfortable with the text. All of this will help students become more independent in their learning. As they master the style and tools the Gemara uses, they will feel more empowered and able to approach a new piece of Gemara and learn it on their own. Gemara Academy has just developed a new feature that enables students to click on any word or phrase on an Amud to see and hear its written and audio English translation. 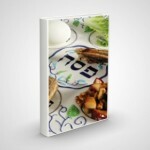 It is currently being launched on פרק תפלת השחר. Click here to view a video that presents this new feature. For more information visit gemaraacademy.com or call Rabbi Chananya Hoffinger at: 347-534-6153.